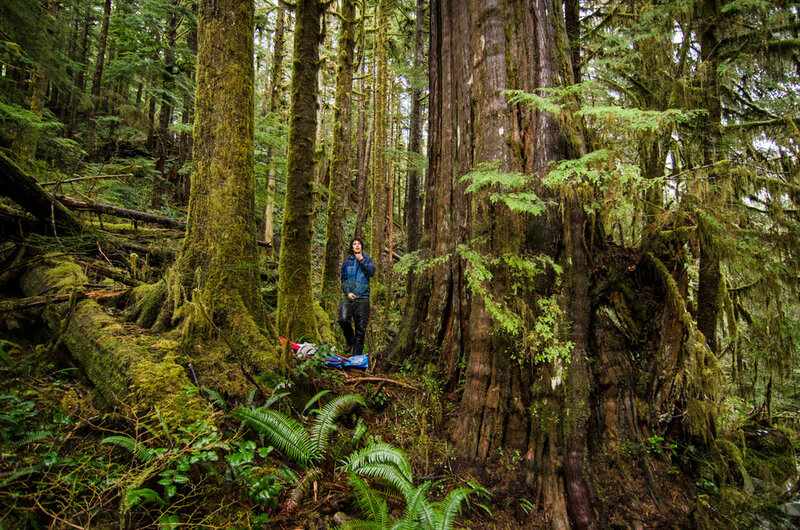 The Walbran is known to the Patcheedat first nations as Kaxi:ks. It has been, and continues to be, their territory. 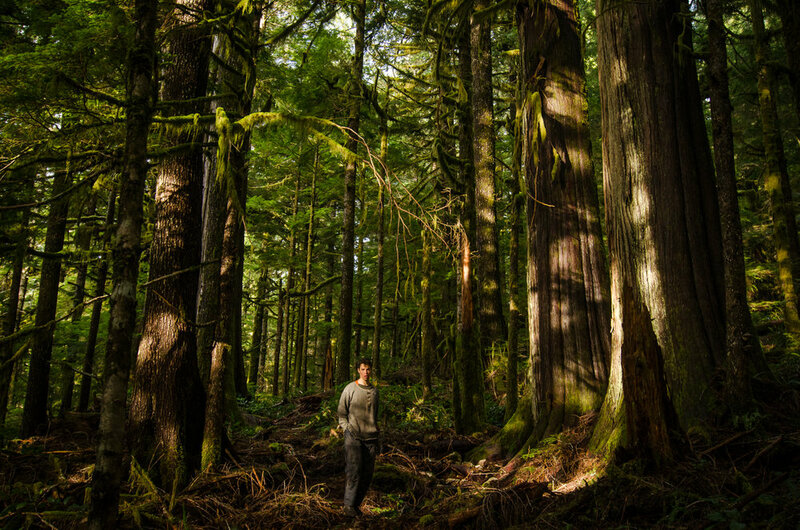 Home to some of the Vancouver Island’s biggest red cedars (some over 50 feet in circumference), the central Walbran Valley has been at the forefront of the environmental movement for over 35 years. 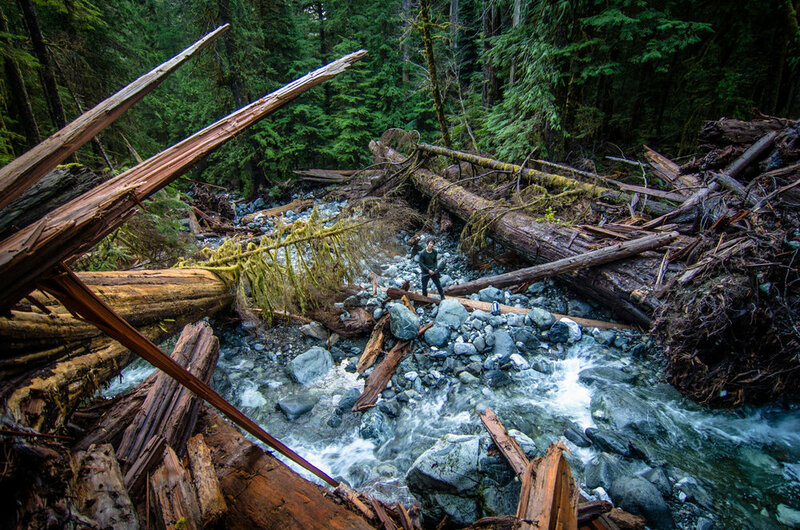 It is a striking land of contrasts where incredible old growth forest neighbors devastating clear cuts. 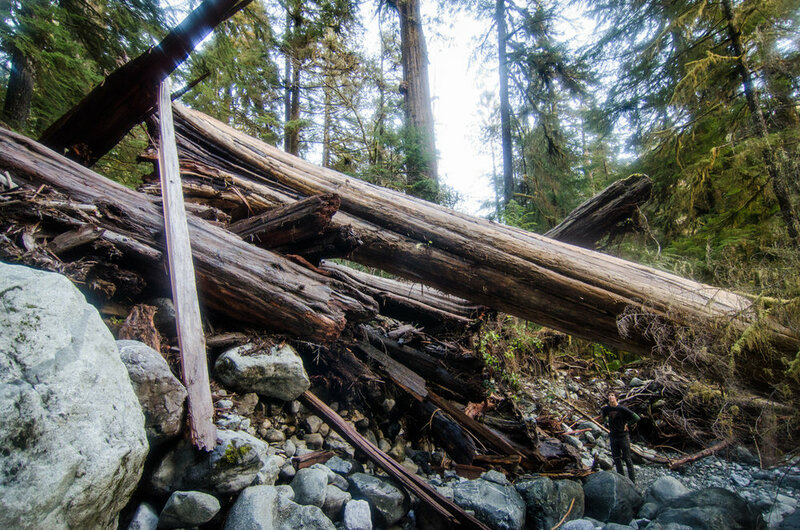 After a two hour drive through cut blocks and fields of stumps, the Walbran is were the logging road stops for now. 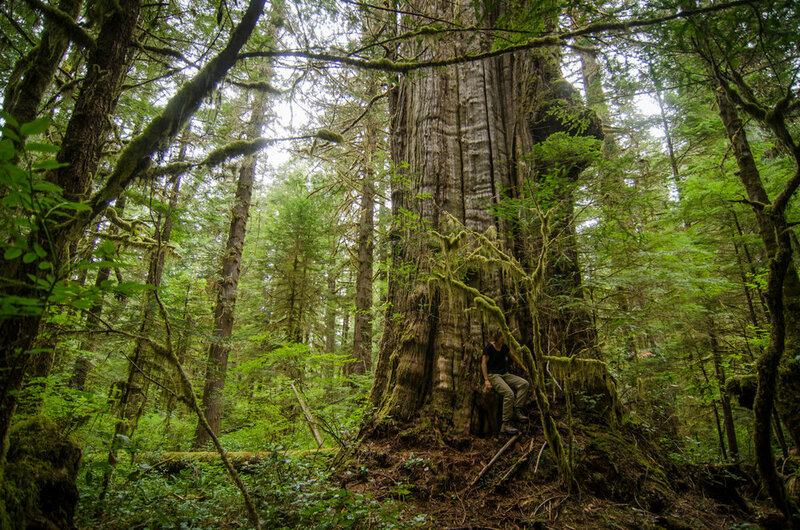 After following a fully boardwalked trail to the Tolkien Giant tree (built by the FoCW and WC in 2017) you’ll step off the plush cedars slats and onto a trail full of hidden giants and treasures down stream. 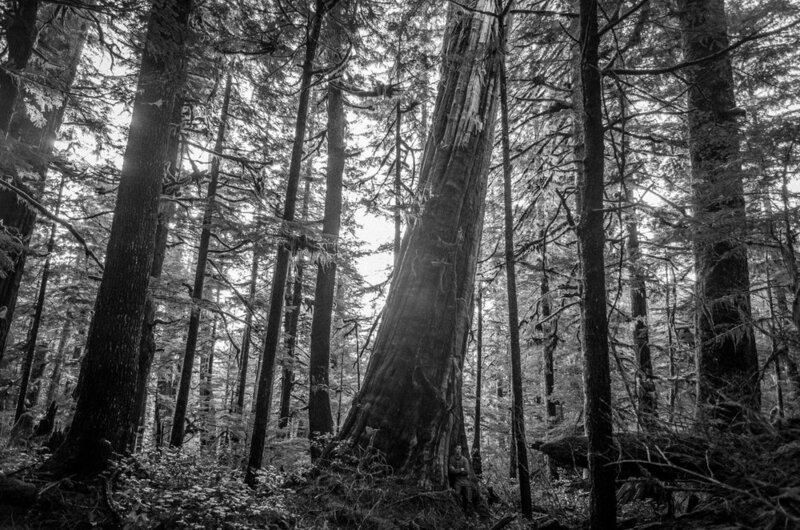 The trail weaves right by some giant trees (that are pretty easy to miss if you aren’t looking up) and brings you to the spectacular “Secret Grove” and a giant 20 foot high log jam aptly named the “Monster Jam”. You can also access the emerald green waters of the marble canyon by following signs at the trail junction. After the “Monster Jam”, the trail loops up the hill and back towards the bridge. 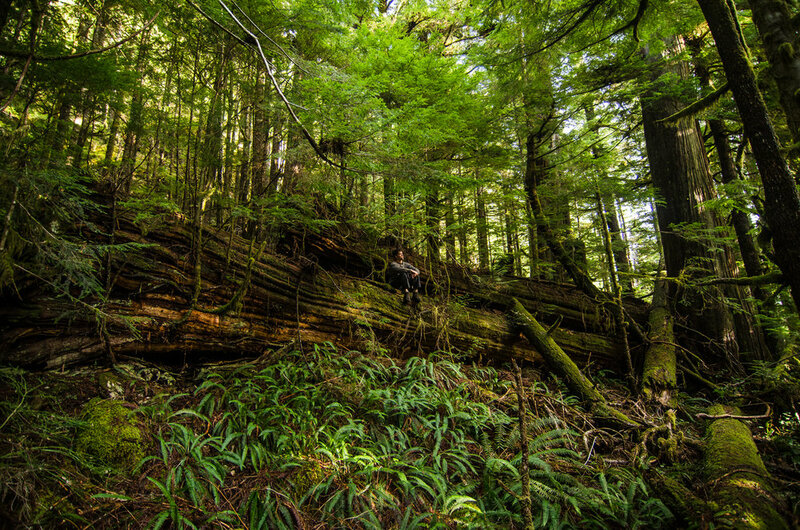 Winding through a karst landscape filled with giant cedars, the trail will take you through three planned cut blocks. This section of the trail is more difficult and easier to loose (not recommended for the less experienced hiker). 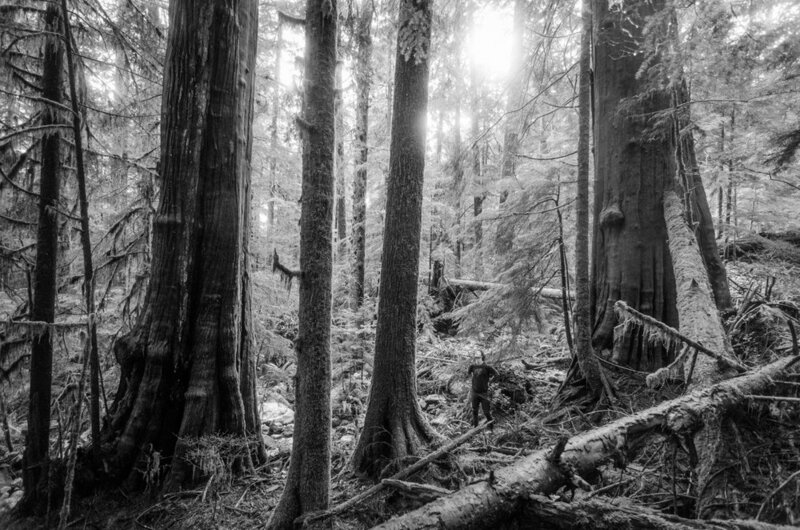 The Harriet Nahanee Trail was a collaborative project between the CTC and the Friends of Carmanah Walbran during the spring of 2016 and was commemorated to renown indigenous rights activists Harriet Nahanee. Difficulty: Moderate/high containing some short 1.5 meter ladders and many steep and/or muddy sections on the upper section (past the “Monster Jam”). For the lower section of the trail, follow the pink flagging tape past the Tolkien Giant. Time: ~2-4 hours round trip (lower section only) & 4-7 hours for the full loop. *Accessing the mouth of the Marble Canyon is easy, but getting to the middle of it requires difficult, slippery and dangerous scrambling. Use extreme caution. Last condition update Summer 2018. 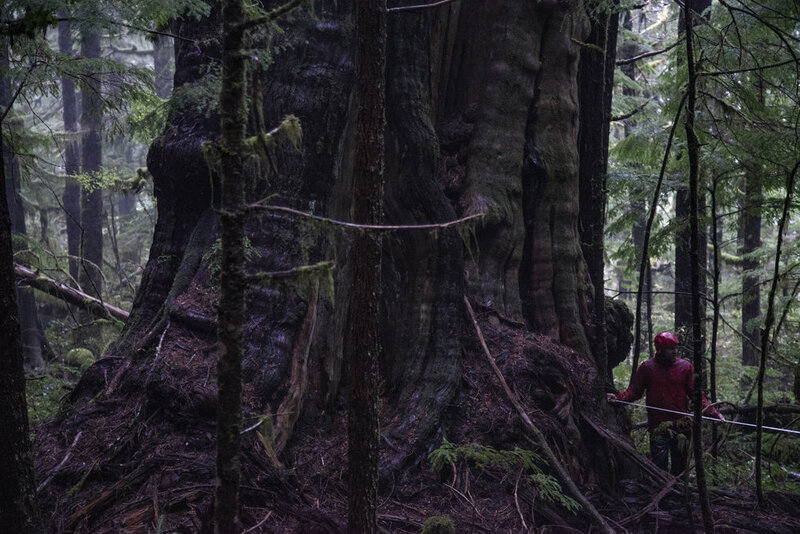 A challenging, multi-hour hike gaining over 400m of elevation, his rugged trail finds the biggest trees measured yet in the in Walbran. 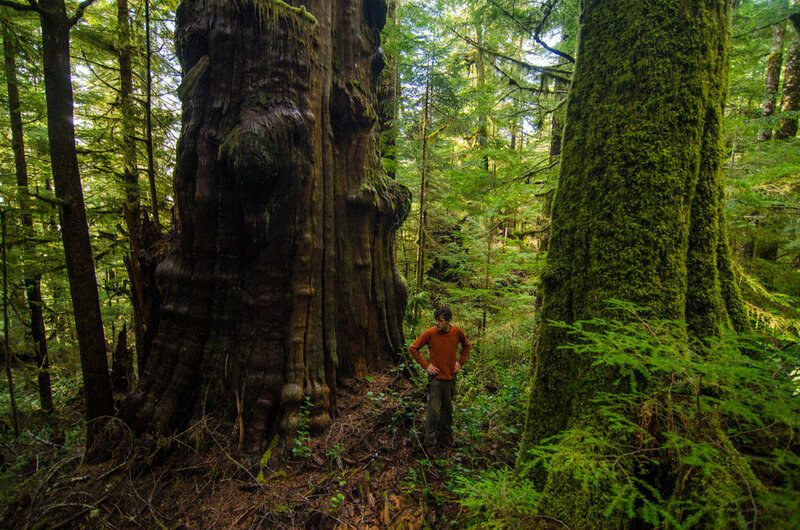 After a strenuous climb, the trail culminates in a jaw dropping grove of giants with a cedar 17m around. Past this, the trail continues up to a rocky outcrop with views of the entire valley and the pacific ocean. Difficulty: High/extreme with many steep sections. This trail is almost complete and will open in spring 2019. 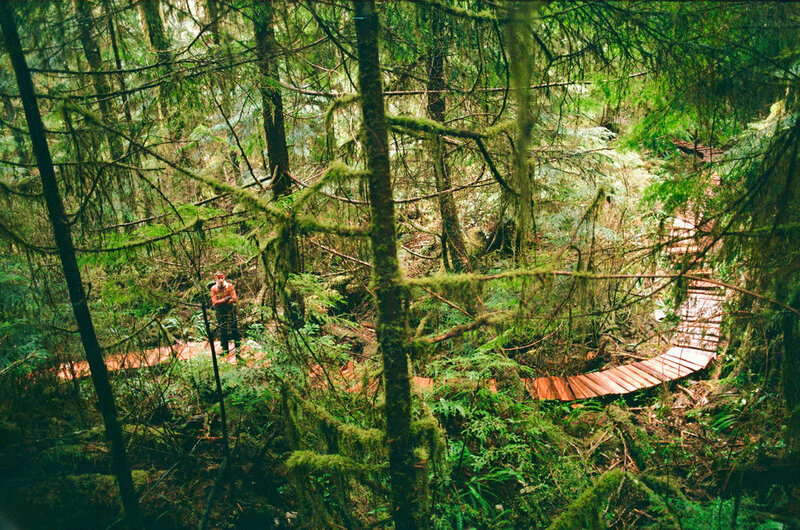 One of the oldest trails in the Walbran, the upper falls trail and boardwalk was originally built in the early 1990’s. The CTC finished rebuilding and reinforcing this heritage boardwalk in 2018. Difficulty: Easy (but slippery in sections when wet). Accessible to most ability levels. Time: 30mins to reach the upper waterfalls, but it’s worth taking more time to enjoy this beautiful walk. *Note: The lower falls trail runs parallel to the upper falls and has some spots for summer tent camping. Do not camp here if there’s any strong wind due to extreme danger from falling debris!! Trail Update December 2018: The staircases have sustained some damage after a series of big winter storms. Use caution as some steps are missing. 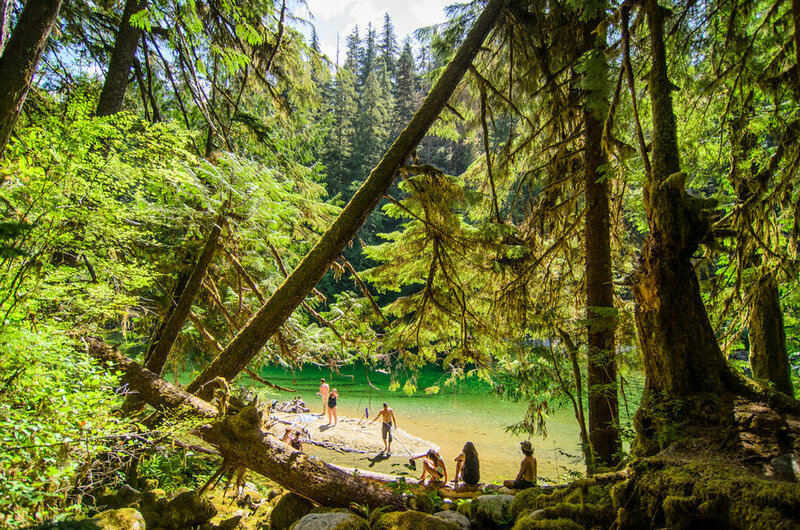 The emerald loop trail is the most popular and accessible trail in the Walbran. This 15 minute loop, a stone’s throw away from the bridge/entrance, is fully covered in boardwalk and easily done by people of all ages and abilities. 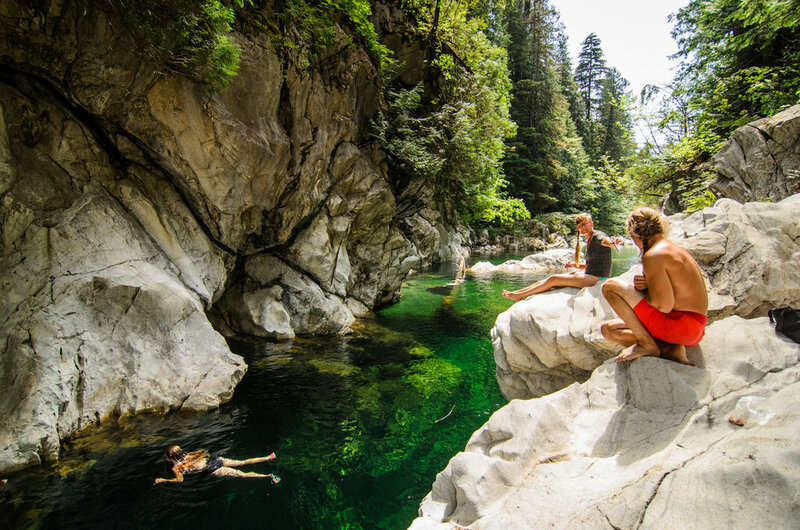 The trail travels right beside the mind bending Emerald Giant, one of the biggest cedars in the valley and brings you down to the flawless and inviting emerald pools. Pause on one of the benches and take everything in! 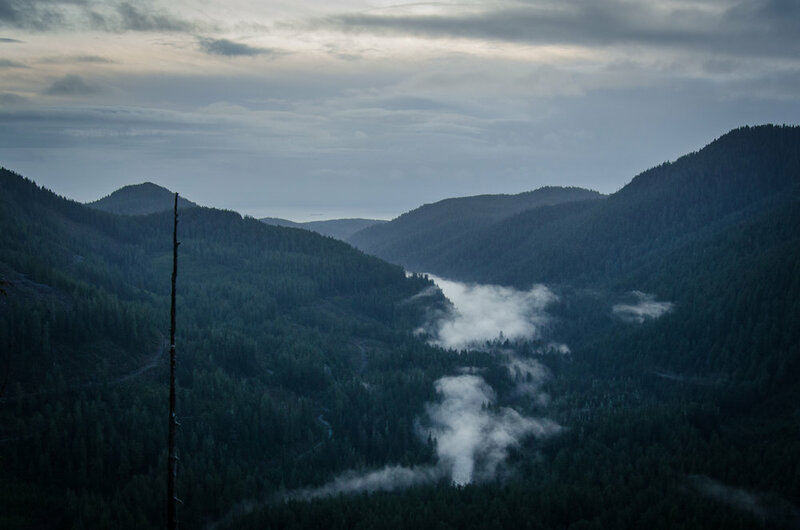 The Emerald Loop Trail went through a major rebuild in the winter of 2017 and was completed with the participation of the Friends of Carmanah Walbran, the Wilderness Committee, and many volunteers working long hours to finish the project. Last condition update December 2018. 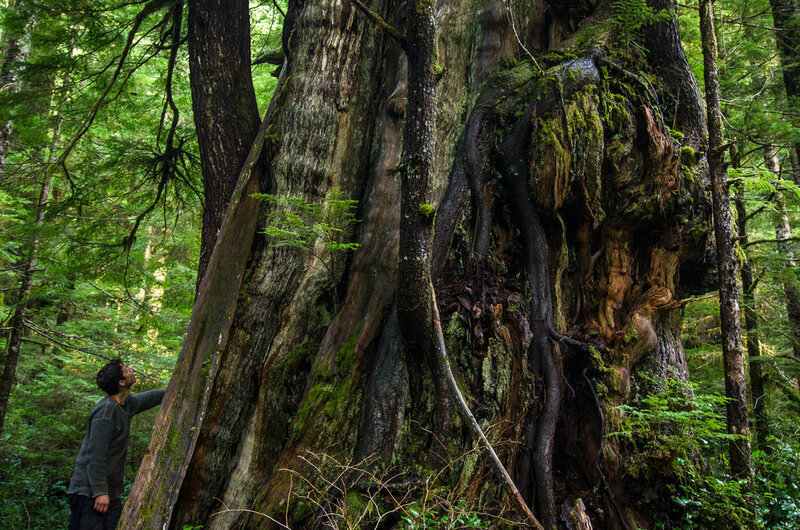 The Castle Grove trail has some of the densest concentration of big cedars in the Walbran. 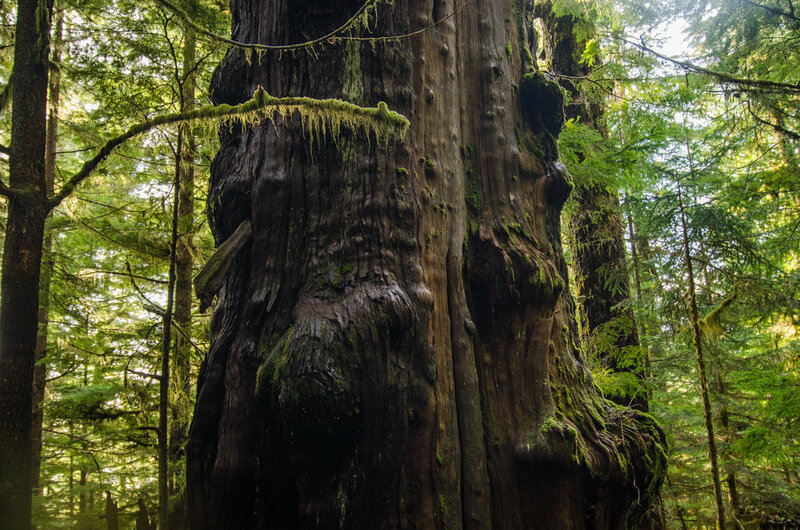 From the countless trees over 40 feet around right beside the boardwalk, to the gigantic Castle Giant with a circumference of almost 60 feet, the Castle Grove trail will leave you speechless. The trail is almost entirely covered in boardwalk, making for a very easy stroll through the flats. However, it does require a river crossing that varies considerably depending on water level. It is advisable to immediately turn back if it begins to rain heavily in the Castle Grove. 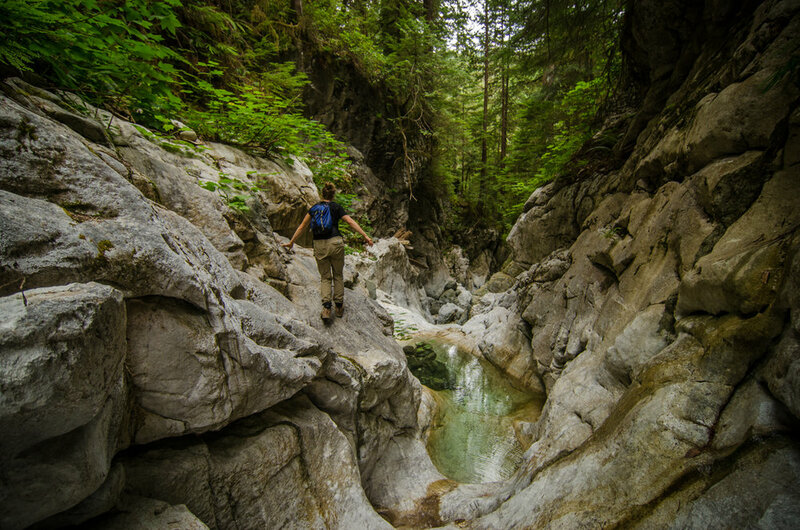 Follow the upper falls trail to access the summer and winter crossing. Please note that the connector trails to and from the winter crossing are overgrown and difficult to navigate. The Castle Grove Loop on the map is overgrown and deactivated. You’ll find it marked on many GPS maps but please refrain from accessing it. The boardwalk was built in collaboration with the Friends of Carmanah Walbran. *NOTE: Do not attempt to cross at the summer crossing in heavy rains. You’ll die. In high water, it is possible to ford the river at the winter crossing, but it can be very difficult and highly dangerous.